Wally Simon’s More Secrets of Wargame Design Volume 2. Imagine a booklet answering your questions on game design. It inspires you to modify your favorite game rules to suit your needs. That’s what this booklet does. Editor Russ Lockwood is back to discuss the 2nd installment of the Wally Simon series of Secrets of Wargame Design. Pick up your copy of Wally Simon’s More Secrets of Wargame Design Volume 2 from On Military Matters in the US/Worldwide or Caliver Books in the United Kingdom. As Per Margin age of sail rules. 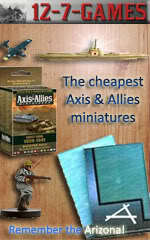 Wally Simon’s Solo Secrets of Wargame Design Volume 3 newly released at On Military Matters.